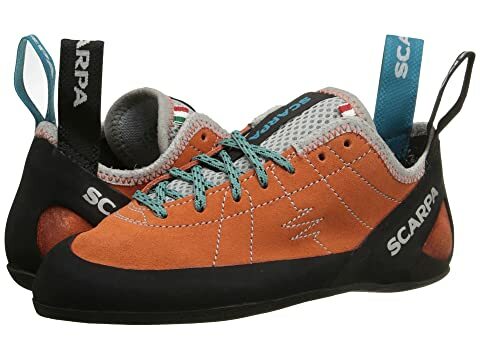 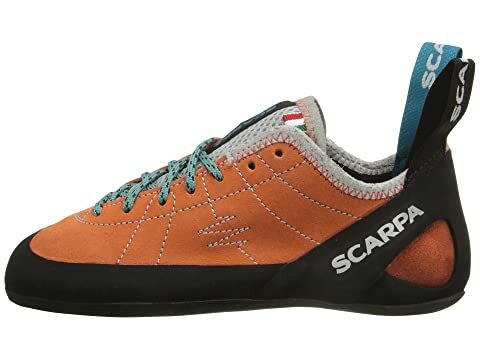 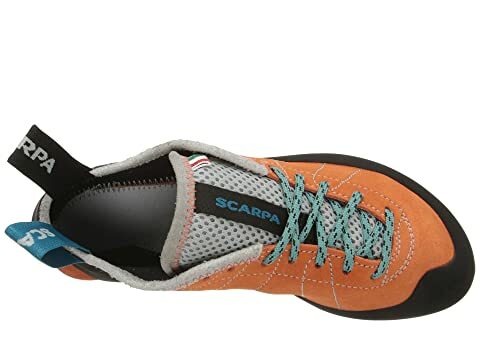 Set your sights on any climb you want with the comfort and sensitive support of the Helix by Scarpa®. 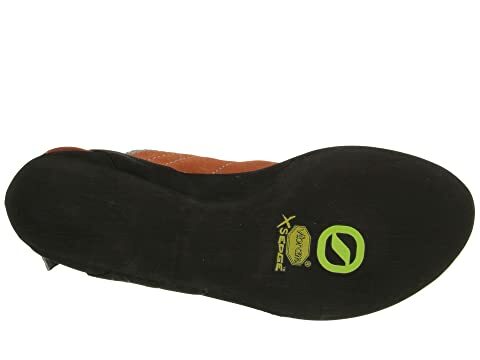 Large rubber patch for easier toe-hooking. 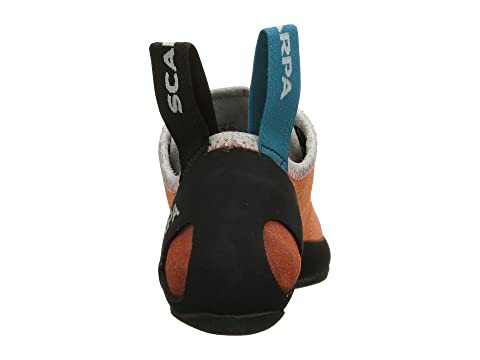 Convenient pull tab on back for easy on and off. 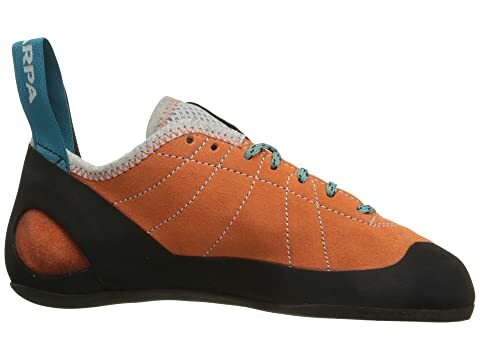 Tac 100 rubber outsole for stability.